Expensive makeup isn't always worth it. 1. Go for multitasking products. Look for good quality cosmetics that you can use in a lot of ways like lip and cheek tints, foundations that double as SPF and moisturizer, and facial scrubs that are actually masks. 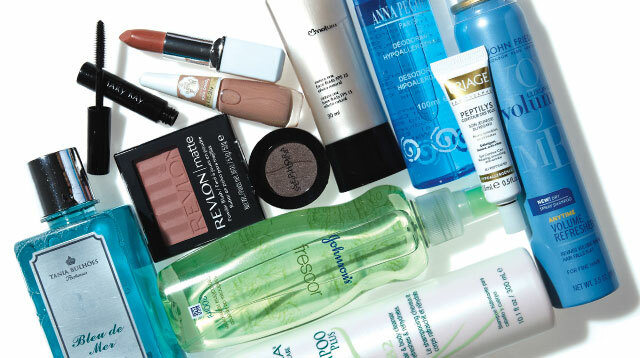 Multitasking makeup is also great for traveling, because you get to cut down the products that you have to pack. 2. Expensive makeup isn't always worth it. Just because your favorite beauty guru (#lifepeg) raves about a 3,0oo-peso foundation that changed her life doesn't mean you should go out and buy it. How makeup reacts to the skin differs from one person to the next. For instance, that expensive bottle of moisturizer your friend Mea uses on her face gives her glowing skin, but it can cause you to break out. So before you shell out a big portion of your salary on beauty products, do some research first. Do you have the right skin type for it? Are you allergic to some of the ingredients in the product? What does your dermatologist say about it? You can also go to the stores and try everything out yourself. If the store doesn't give away free sample sizes, ask if they have travel-sized products available for purchase. There are a ton of online stores in the country that sell hard-to-find beauty products cheaper. Go through these accounts and read reviews. But check if they're authentic. There are a lot of stores online that sell fake makeup and skincare products. No matter how cheap they sell it, if you know a product is fake—don't buy. Free up one weekend afternoon when you can try your new lippies and see what awesome shades you can come up with. Go through your makeup palettes and look for a brown eye shadow that you can actually use to fill in your brows. You can also empty out an expired mascara tube, disinfect the wand, and use it as a spoolie for your brows. The possibilities are endless! Yeah, that 1,000-peso lipstick may actually have 500-peso alternative. Google it!